The School is situated 30 minutes by train from Tokyo. In their free time students can go to Tokyo for shopping or leisure activity. Famous places like Shibuya, Shinjuku, and Akihabara are far no more than 50 minutes from the School. 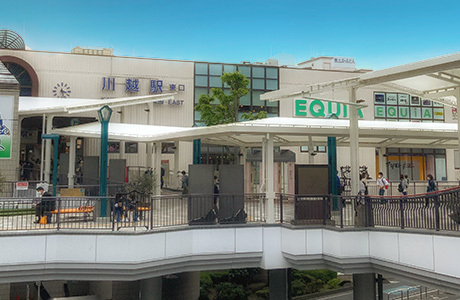 there are many restaurants and in the neighborhood there is a lively shopping mall. 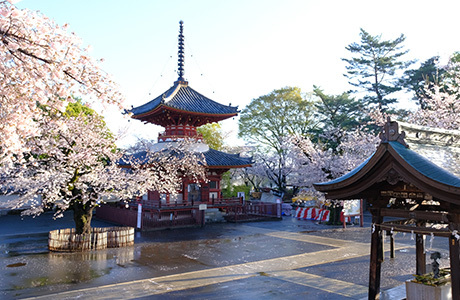 This is an historic Buddhist Temple built around a thousand years ago. Kawagoe is a touristic spot recommended for its ancient architecture. This is the symbol of Kawagoe. Built around 400 years ago, nowadays it is still possible to hear its sound twice a day.